TOKYO - Tokyo's mayor insisted on Thursday (Sept 13) that the city's new fish market would be safe, as she inaugurated a "cutting-edge" facility to replace the world-famous Tsukiji, which closes next month. "Toyosu market is safe. I want to say that" to all the wholesalers, buyers and consumers, said Yuriko Koike, referring to the new complex, located on a former gas plant further east of Tsukiji. 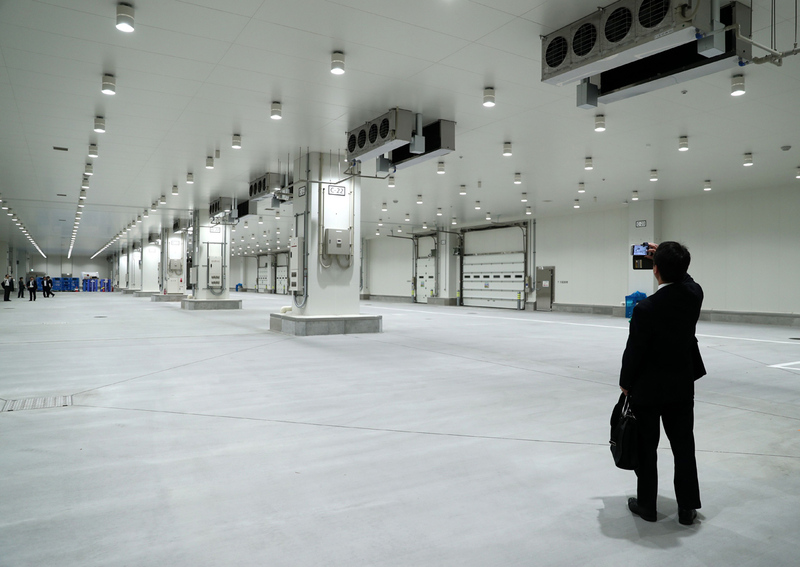 The new market will be "cutting-edge" with "highly advanced hygiene control", pledged Koike. The 83-year-old Tsukiji had come under fire for its old-fashioned buildings and safety standards. But myriad delays set back the timeline, including the discovery of soil contamination at Toyosu, sparking safety fears at the new location. Hiroyasu Ito, head of the Tsukiji market association who also attended the event, said he was "deeply moved". "About half a century has passed" since the issues at Tsukiji market first surfaced, Ito said. "Finally we're here. We can enter this (Toyosu) market with our heads held high," he said. Tsukiji is the world's biggest fish market and a popular tourist attraction in an area packed with restaurants and shops. It opened in 1935 and is famed for its pre-dawn tuna auctions, with one fish going for more than US$320,000 (S$440,000) at the market's final New Year's auction last year. Toyosu will officially throw open its doors on Oct 11.